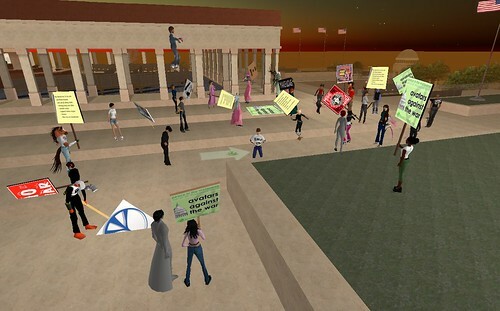 Listen to Ruby’s interview on BBC radio about the very successful Second Life Ant-War protest she organized. Radical stuff in more ways than one! Congrats Ruby! Previous Post Will the iPhone have Flash?